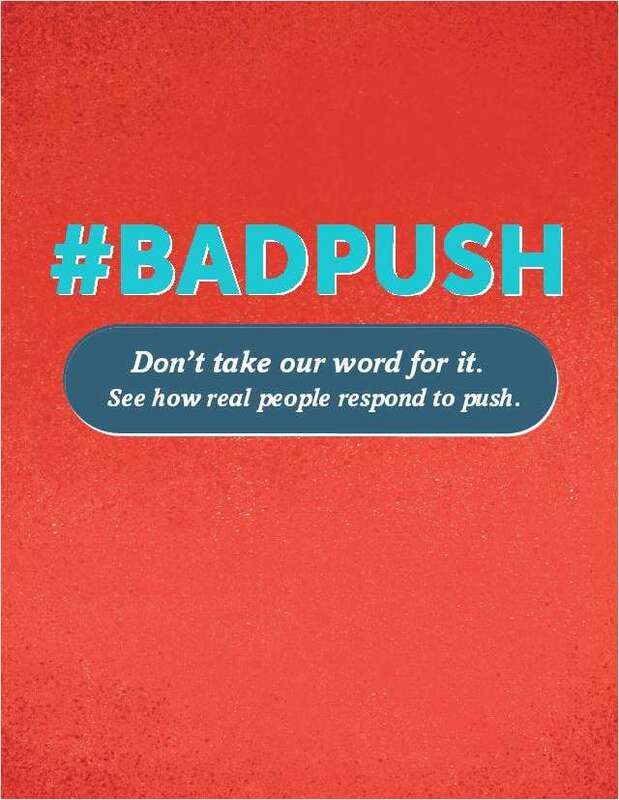 Free Guide: "Bad Push Guide"
With push, customers give you permission to interrupt their day. And if you abuse this privilege, customers will delete your app faster than you can say Bad Push. By submitting this content request, I have legitimate interest in the content and agree that Urban Airship, their partners, and the creators of any other content I have selected may contact me regarding news, products, and services that may be of interest to me.